Bridgewater Primary School's Parent Forum is great way for parents to let the school know what they think about the services we provide. By joining the forum you'll be performing an essential role in delivering the feedback we need to develop our school. You can see notes of our previous meetings here. The Parent Forum meets once a term, usually in the evening at school. 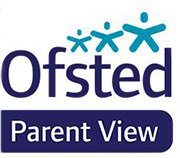 If you'd like to represent the voice of the parents at our school, please contact the school office.